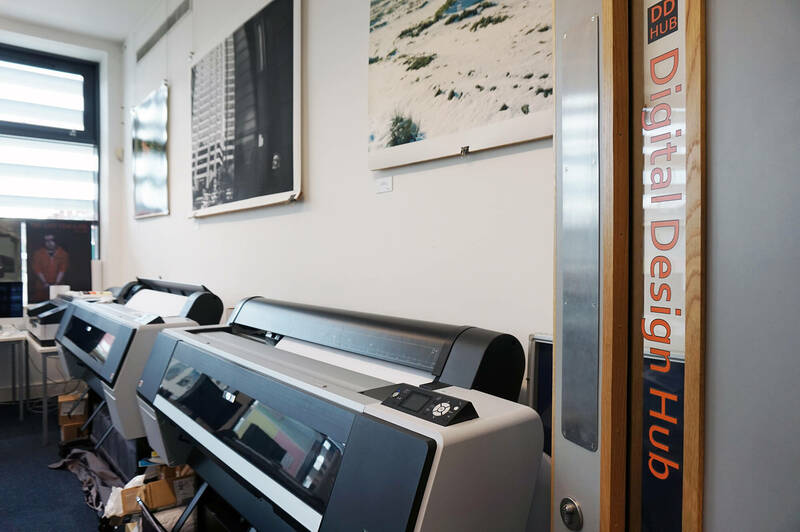 The Digital Design Hub contains a wealth of industry standard equipment that can be booked and used by students to use for their work. 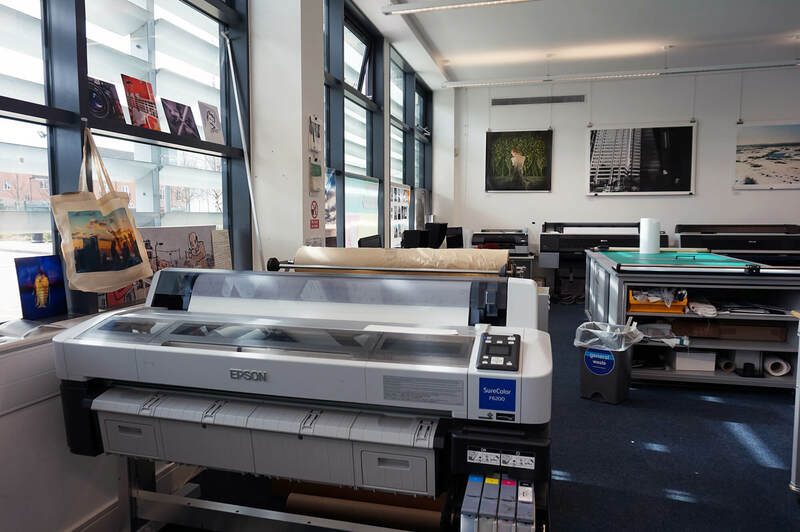 The equipment is especially useful for students from Illustration, Fashion, Textile Design, Fine Art, Product Design, Interior Design, Graphic Design and Photography. There are also options for students from our Teacher Training and Education courses to use the facilities to create classroom resources. The digital embroidery machine has over 200 different types of stitch patterns and can embroider using up to 12 colours in any one design. Students can learn how to convert illustrator files to stitch using industry standard software. The machine also has a laser cutter, enabling students to applique, cut work and laser cut patterns on to larger pieces of fabric. This machine is often used by students studying Illustration, Fashion, Textile Design, Graphic Design and Interior Design. Laser cutting can be used by students from a wide range of courses. For example, Graphic Design students could use the laser to make business cards, cut letters, make prototype packaging and products. 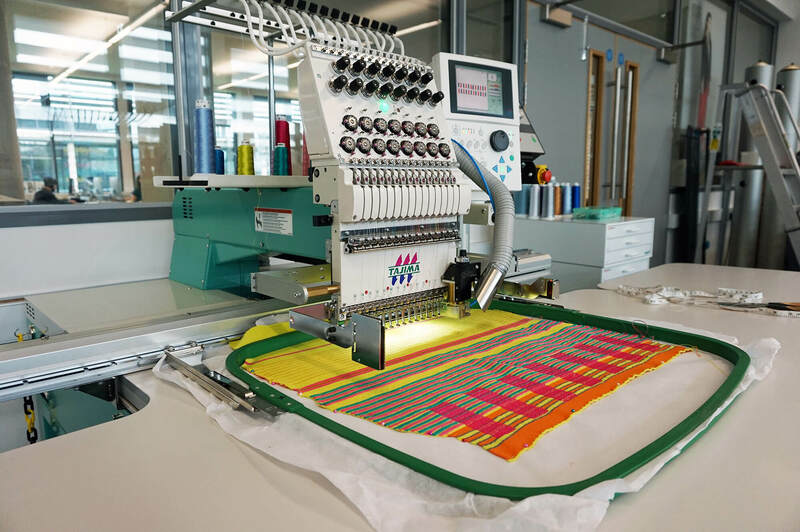 Textile Design and Fashion students could use the machine to produce patterns in material, etch leather and velvet, create decals for screen printing, and cut acrylic for attachments to garments. Interior Design students could use the laser to cut models. 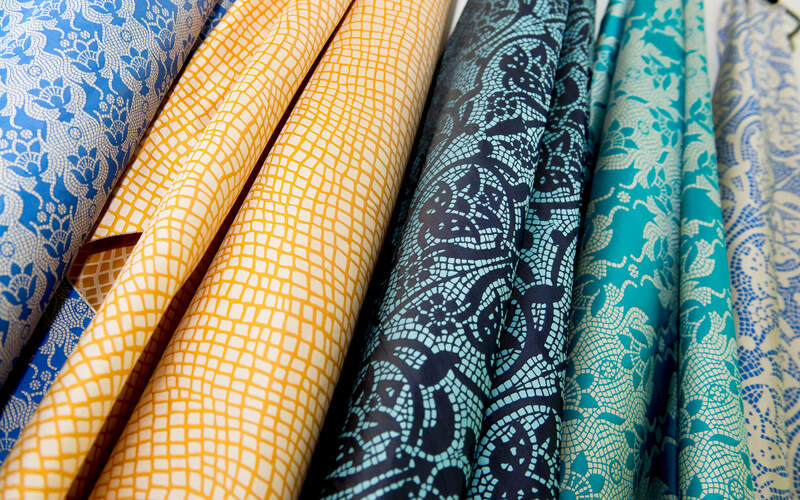 The Mimaki fabric printer provides students with the facility to print onto natural fibres such as silk, cotton, linen or canvas. 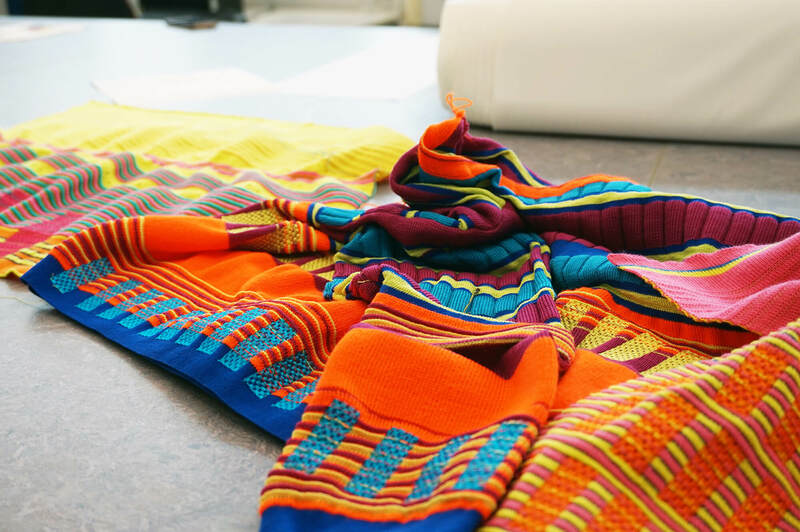 Students are able to print samples and lengths of fabric as well as individual large scale imagery. 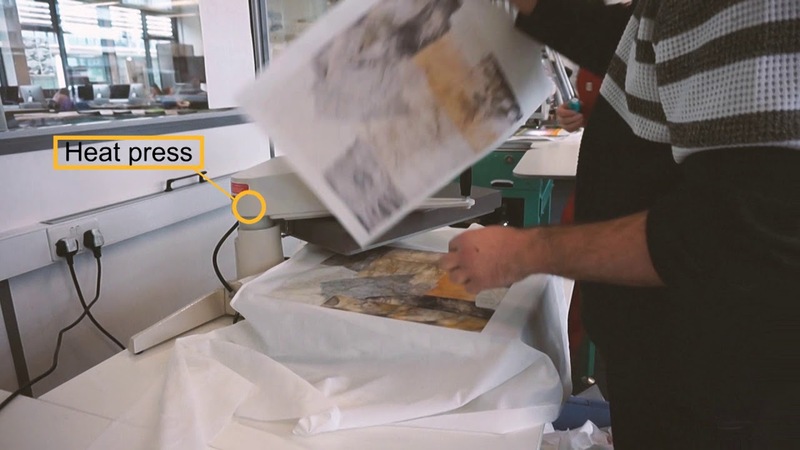 The fabric printer can be used by a range of courses such as Fashion, Interior Design, Textile Design, Product Design and Illustration to make items such as garments, furniture upholstery, wall hangings, window screens and much more. This process allows students to print onto paper then heat seal their work to a number of different surfaces. These include polyester fabric, nylon, polyster bags, mugs, placemats, aluminium and chromolux. This can be used by students from a wide range of subject areas such as Graphc Design, Illustration, Product Design, Interior Design, Costume and Set Design, Textile Design Fine Art, Fashion and Photography. The Mimaki UV printer prints directly onto the flat surface of an object. This enables students to print directly onto a surface without any preperations. There are a wide range of materials that this printer will print onto for prototyping, such as wood, metal, plastic, stone, slate, acrylic, leatherette, PVC, tiles, card and other flat surfaces. This printer delivers a high quality finish and can print white a clear, which makes it possible to be able to print on black or dark coloured objects. The vinyl printer can print onto a wide range of different vinyls which students can use to produce decals, stickers and tshirt vinyls. These can then be applied to a wide range of surfaces for both indoor and outdoor use. 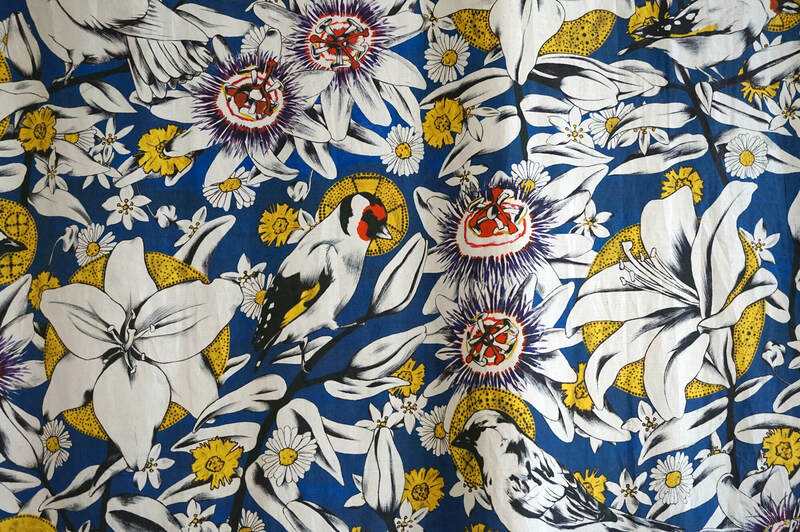 Students who use this include Graphic Design, Textile Design, Photography, Illustration and Fashion. 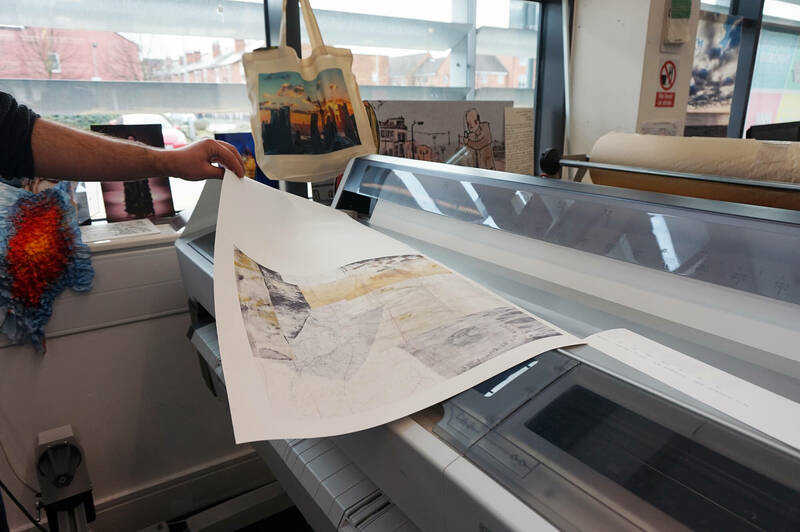 The wide format printers are used in a variety of ways from printing positives for A1 screen printing to high quality photographic images. Students can have a hands on approach so they experience the process. Students can print on a wide range of papers from 120gsm paper to high quality cotton innova photographic paper. 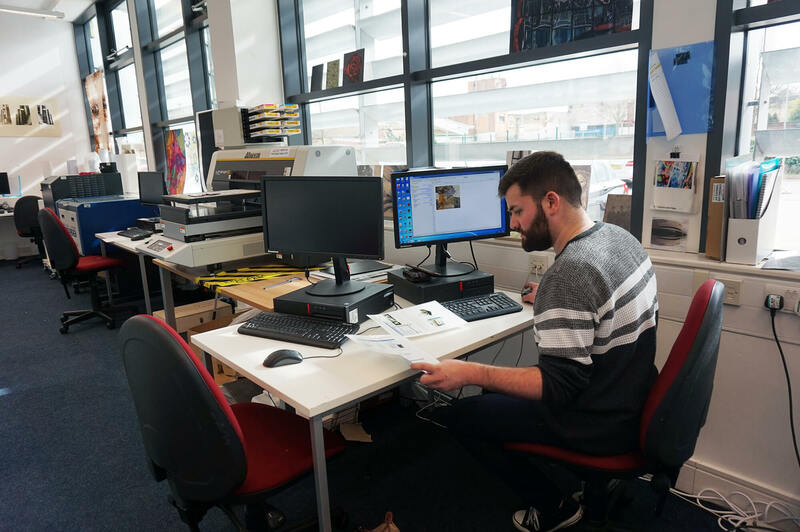 Many courses can access this printer including Illustration, Graphic Design, Interior Design and Photography. 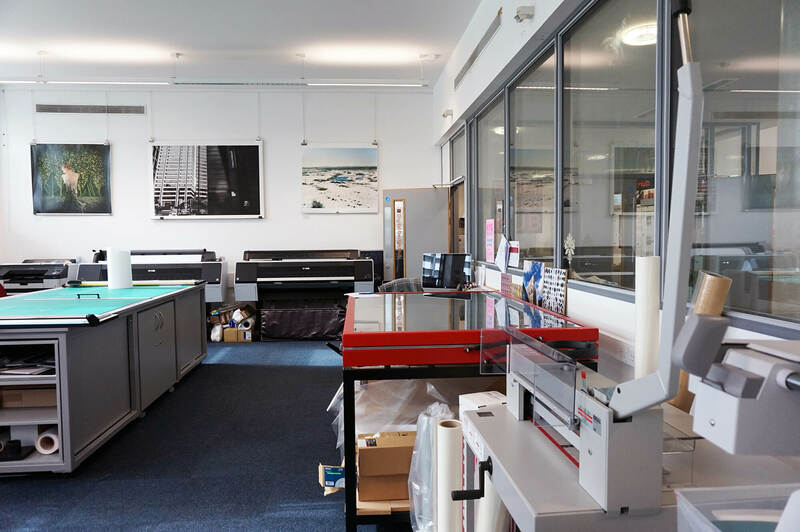 Alongside printing, there is also the facility to mount your images on to card, foamboard and wood using the vacuum press also situated in the Digital Design Hub. The Perfect Binder allows students to soft bind pages together with hot glue. This machine will bind A5 to A4 landscape. The foiling machine can apply gold or solver foil on to black and white laser prints using heat to adhere the foil to the print. For more information or to arrange an induction please email ddh@derby.ac.uk or call 01332 593598.